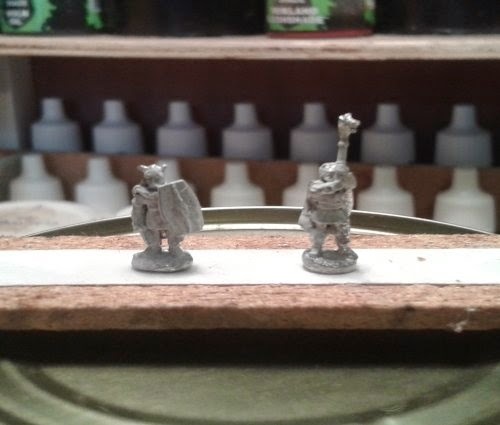 Here is my guide for preparing a miniature an easy guide to follow part 1, part 2 (Painting A Miniature), part 3 (Painting Horses), part 4 (Wargaming Materials), part 5 (Wargaming Tools). 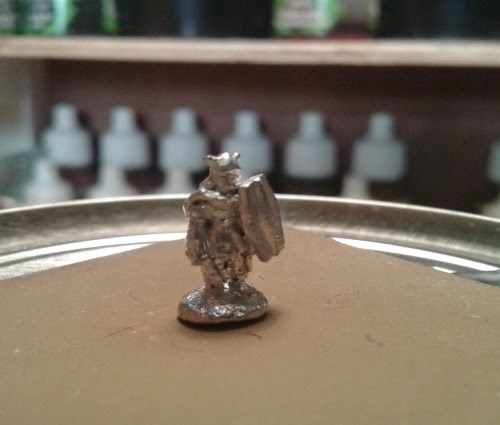 Ok we have received our miniature. So the first thing to do is have a really good look at the miniature and assess what needs to be done. 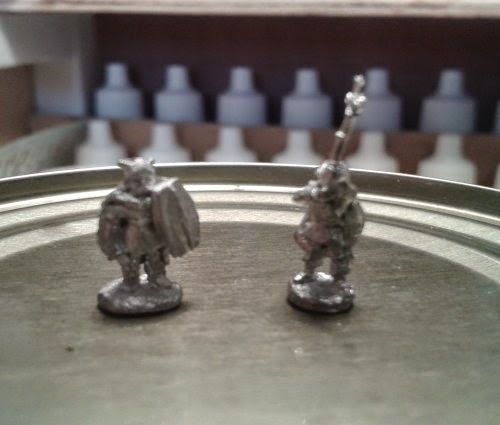 To be honest I find most miniatures require very little work. The next step is to use a craft knife or file, to clean up any flash/mould lines which may be on the miniature. The next stage is to wash the miniature to remove any residual mould release agent and any skin oil, whilst i was cleaning flash/mould lines. 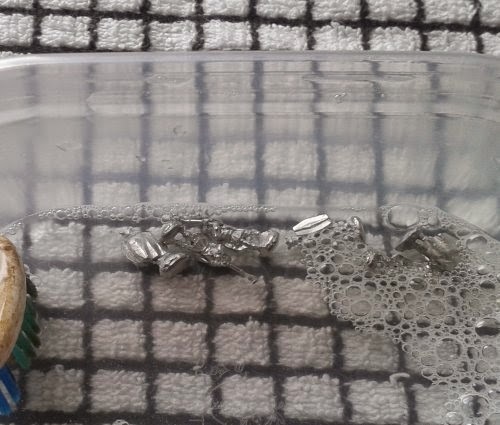 The best method is to use a mixture of warm water and washing-up liquid. 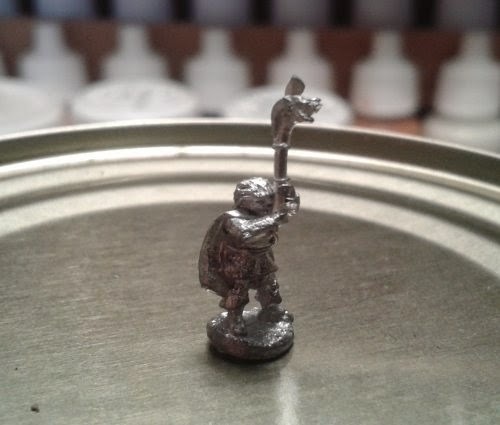 Give the miniature a good scrub with a soft toothbrush then let dry on a tea towel. 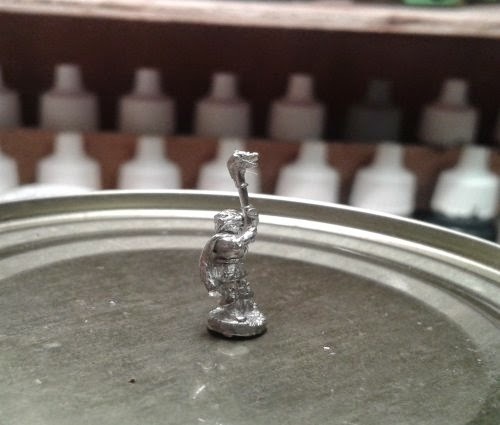 Sometimes a miniature will require assembly there are several types of glue which are available from this, superglue, two-part epoxy. Okay the last stage is to prime your miniature. 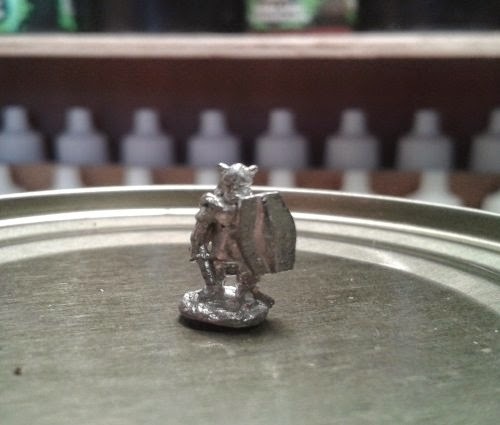 I use plsti-kote water based (Fast Dry Enamel) which is a brush on paint, it also gives me the opportunity to check the miniature again for any flash/mould lines I have missed.